It's not often I write negatively about a book I've read -- mostly because I rarely make it more than 50 pages into a book that isn't working for me. Life's too short to read bad books. But book club reading falls somewhere in a grey zone here: after all, I joined a book club to expand my reading horizons. And I generally don't think it's fair to hate on a book in discussion if I haven't finished it. Which is basically the only reason I got to the end of Defending Jacob, the legal thriller from William Landay that topped more book club recommendation lists than I can count. At a high level, the novel is about a prosecutor whose 13-year-old son is accused of murdering a classmate. It asks big questions about parenting and the law: How far would you be willing to go to defend your child against an accusation of murder? How well do parents--or how well can parents--know their own children? What weighs more in the creation of a character: nature or nurture? How imperfect is the United States legal system? Because of these big questions, it's prime fodder for book club discussion. No two readers will answer the same to all of the above, and disagreement is, after all, what really makes book club debates interesting (see also: Want a Great Book Club Discussion? Don't Please Everyone). Toby was a fitness addict. She had a runner's lean body and fatless face. While the legal aspects of the story (how prosecutors build a case, how evidence is designed to lead to a suspect) are interesting, these gems are buried beneath a muddied story about the possibility of an inherited "Murder Gene" and a clumsy tale of what happens to a family in the midst of a legal drama such as this. Combined with a thoroughly out-of-touch narrator who harps on the confusing nature of technology ("Personally I had no idea what Jacob and his friends saw in Facebook. I could not grasp why all of this information-churning was so compelling.") and views his wife as something to be managed rather than, you know, a real life human person ("But clearly she was in no mood for lawyerly advice. She meant to have her say." and "I discouraged any kind of frank emotional talk, and soon enough I stopped noticing my wife altogether... It was the only sensible approach: tough it out, get through the trial... then repair the emotional damage later. "), this much-lauded novel was ultimately flat and disappointing. 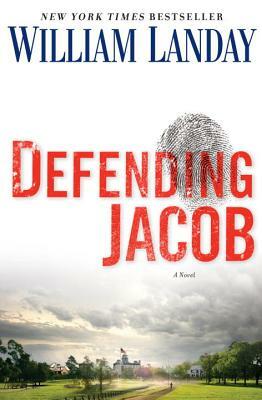 Have you read Defending Jacob? Did you love it or hate it?